Knowing how to drive is an important skill that will serve you for a lifetime, giving you more freedom, mobility and career opportunities. The quality of the tuition you receive will affect how confident and competent you are as a driver. The best instructors will provide encouragement whilst you learn the essential skills you need to be safe on the road. Choosing the right provider is therefore very important. We offer personalised, attentive lessons for each individual, regardless of their experience level. We understand that everybody is different and learns at their own pace; tailoring each session to suit the student is our pleasure and ensures we offer the right service. If there are any particular areas you struggle with, we will continue to advise and encourage you until you are confident in all aspects of driving. We have qualified male and female instructors on our team, ensuring we can meet the needs and preferences of every student. When you decide to learn with us we will help you to choose the instructor best equipped to help you learn, so you can get the most out of every single session. With over 35 years of experience in the business, students can rely on us to offer professionalism at all times and go the extra mile to help them pass both their theory and practical tests. We are proud to be one of the leading providers of driving lessons in Paisley and the surrounding areas. Our instructors offer flexible sessions so you can arrange to drive at the most appropriate time for you. They can also arrange to collect you from an address of your choice, so you don’t need to worry about travelling to and from your lessons. We specialise in teaching new drivers, but also offer a full range of services for experienced drivers too. Whether you want a refresher course or want to learn new skills and update your knowledge, we can offer the training you want. Tuition is available for people looking to become instructors, for fleet drivers and for driving in different conditions. When you come to us, quality services are assured and we also take care to ensure we offer value for money. Lessons can be block booked for great savings or you can choose a crash course if you want to learn quickly. 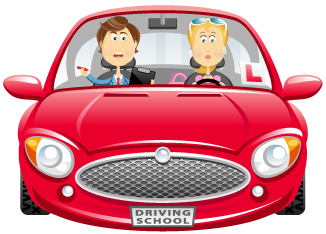 Whatever your needs we will do all we can to ensure you get the best tuition with our comprehensive driving lessons in Paisley.